For several years WBHS has been making do with an old and worn down air conditioning unit, along with other older systems. This has the potential to change. On May 7 a community-wide survey went out as one of the first steps in initiating a potential referendum, polling the tolerance level the community would have for investing money in renovating the high schools as well as Jackson Elementary School. The referendum offers two options for Jackson. One is to renovate on the existing site, with an estimated cost of $21.9 million. The second option is to build a new school on property that the district owns, with a projected cost of $23 million. For the high schools the referendum proposes several upgrades. This includes moving the administration up to the front of the building in between the two towers, remodeling the cafeterias and locker rooms, and combining the two libraries into one. One of the libraries may be used to create more classrooms. The science labs may also be upgraded and reconfigured. In addition, all the mechanics of the building would be upgraded. 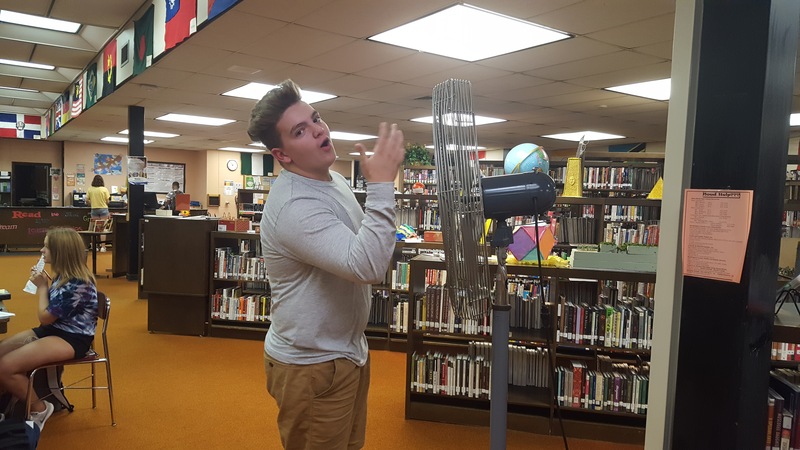 These mechanical renovations would include providing a solution to the persistent AC problem, which Kristen Becker, West English teacher, thinks would improve the classroom setting. Her classroom is often so warm that students complain. East junior Sarah Shudarek agrees that the inconsistent temperature is a problem, even in cooler months. “I will go from being sweaty in one class and then in another class I’ll have to ask to go and get a sweater or something,” Shudarek said. Matthew Wanie, West science teacher, also sees the opportunity for classroom improvement in the proposed science lab renovations. The high schools have gone a considerable period of time without a serious renovation. “There’s been really very little done to this building over the years, you can simply tell by walking around,” Ross said. “Some of it’s original, from the 1970s, and probably most people’s homes don’t have as much 1970s stuff as this building does,” Ross said. As of yet the timeline for introducing the referendum for voting is undetermined. The first opportunity would be the upcoming November, but may be too soon. The next opportunity would be next spring.